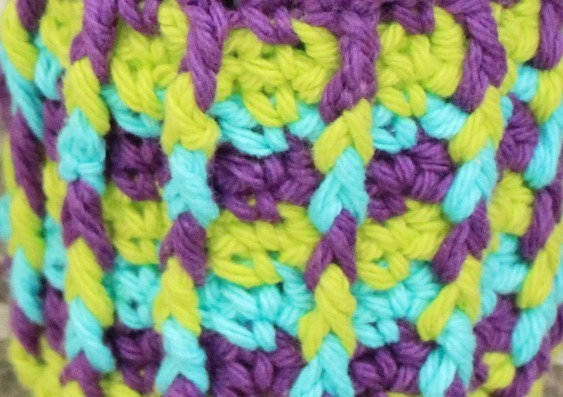 Rainbow Ridges Can Cozy… Free Crochet Pattern!! If you love this pattern add it to your Ravelry favorites… Click Here!! 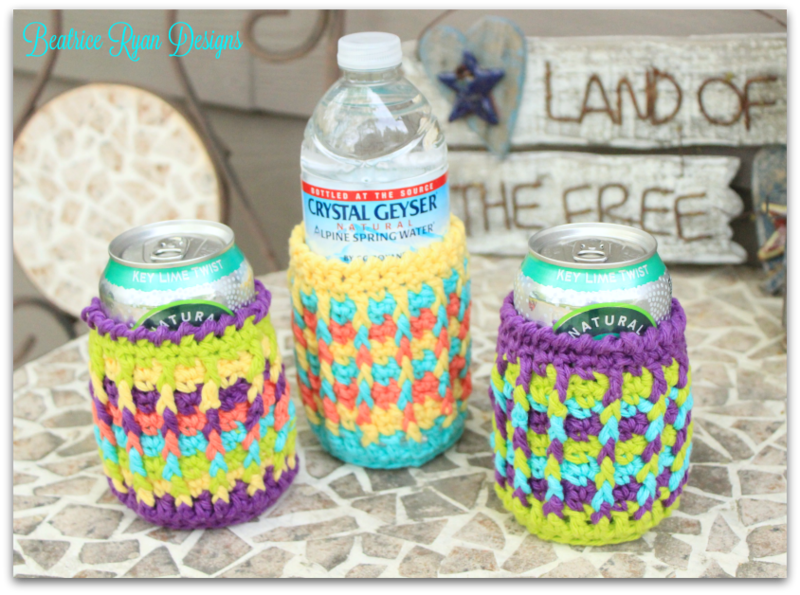 Just in time for Summer,,, Keep your sodas, bottled water and other cold beverages cold and your tables safe from watermarks… This Rainbow Ridges Can Cozy is a great way to keep your hands from getting cold too! Worsted Weight Yarn ~ Multiple colors in just a few yards each… great for stash busting! I used Lily’s Cream and Sugar Cotton in multiple colors!! Rounds 12 – 20. Repeat rounds 10 & 11 changing color before each repeat. Congratulations!! You now have a Rainbow Ridges Can Cozy!! Rainbow Ridges Jar Cozy… Free Crochet Pattern! Steel Ridge Beanie… Free Crochet Pattern! !